This is a new innovative way to color your hair! This paste is super easy to use and ideal for anyone who wants a daring color. This hair color is a coloring and styling in one and you can just rinse it out! 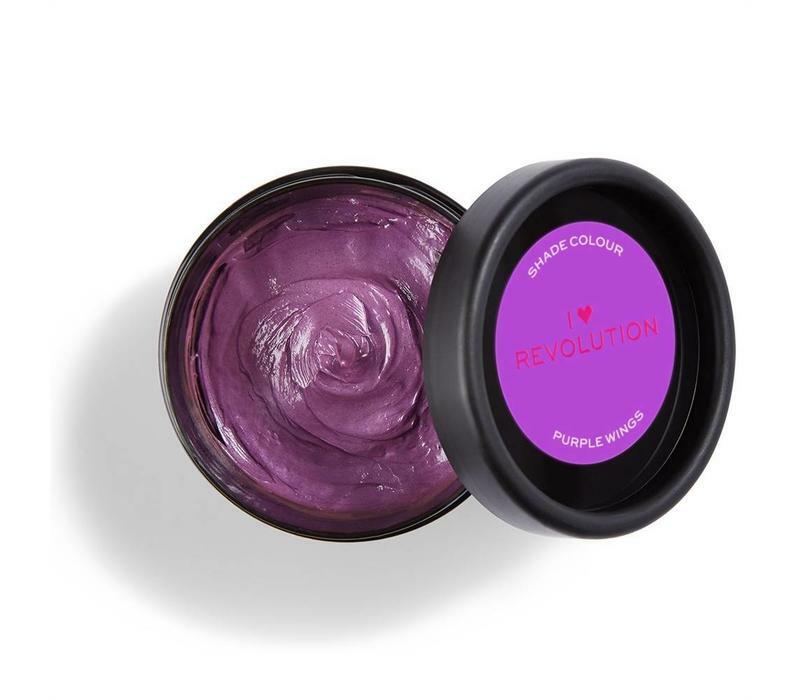 I Heart Revolution Rainbow Paste Purple Wings is a new innovative way to color your hair! 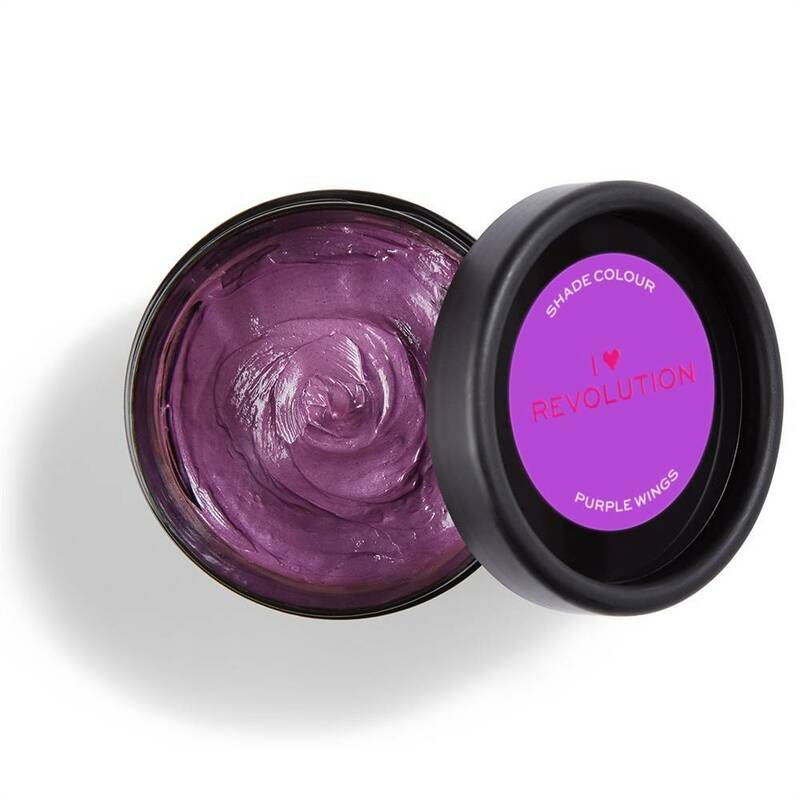 This paste is super easy to use and ideal for anyone who wants a daring color. This hair color is a coloring and styling in one, handy isn't it?! And the beauty of this hair dye is that you can simply rinse it out. 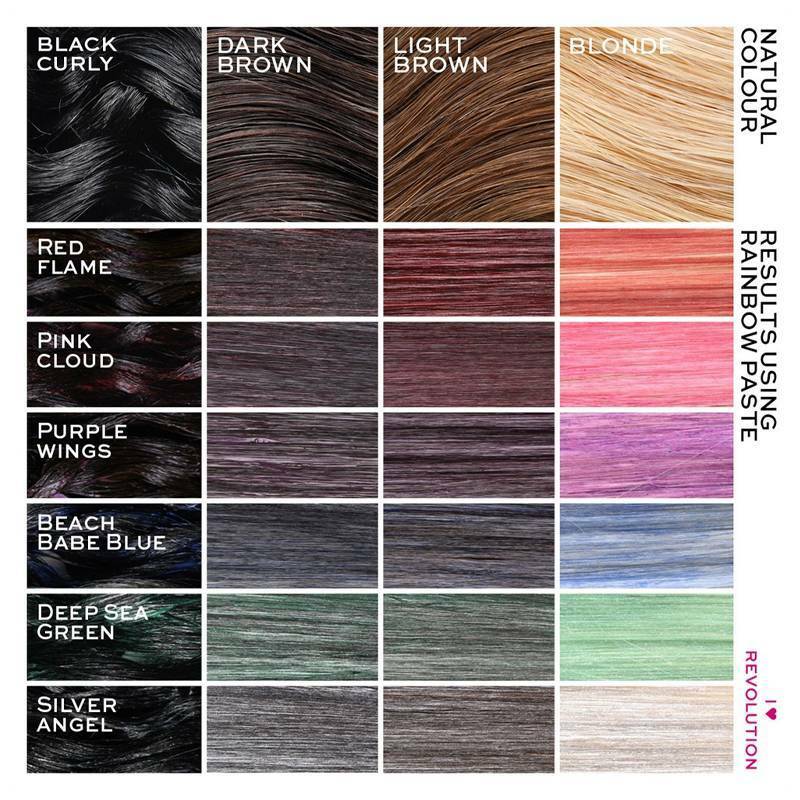 So do you feel like crazy or do you want to try a bright color before using a real hair dye, then the Rainbow Pastes from I Heart Revolution are perfect for you! This hair dye can be used on both blond and brown hair and does not contain peroxide. So no worries, this paste is absolutely not harmful to your hair! You apply the formula effortlessly and it spreads through your hair easily. Go for a daring look and click this washable hair dye quickly in your shopping basket. Is this not your color at all, no problem! 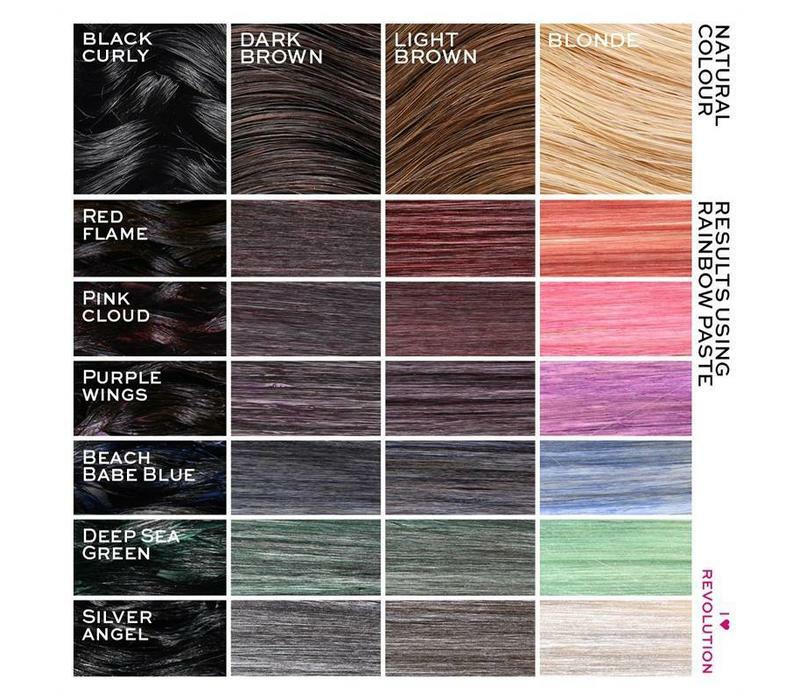 This washable hair dye is available in 6 colors and you can mix them all together to create your own unique shade. 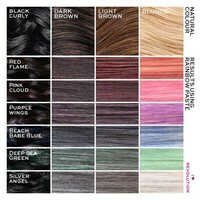 Hair coloring and styling in one. Suitable for both blond and brown hair. Divides easily through your hair. You can mix the different colors together for a unique look. Before you start applying this hair dye, cover your clothes by first placing a towel over your shoulders. First style your hair before applying the product. Take a small amount of hair dye and spread it with both hands over your hair. You can also apply the hair dye on a comb to comb it through your hair. You can use this hair dye for styling your hair too! Dry your hair with a towel before applying the hair dye. Cover your clothes by placing a towel over your shoulders. Take a small amount of hair dye and spread it over both hands. Then apply the hair dye to your hair using the stroking manner. Dry your hair by using a hairdryer and brush your hair. The color will dry nicely with a colorful finish. You can apply this technique to dry hair too, for an intense wet look finish! Tip! : Wash and dry your hands well between applying different colors of hair dye! Aqua (Water), Steareth-21, PVP, Mica, Steareth-2, Petrolatum, Cera Microcristallina, Paraffinum Liquidum (Mineral Oil), Parfum (Fragrance), Propylene Glycol, Phenoxyethanol, Polyquaternium-7, Ethylhexylglycerin, Linalool, Hexyl Cinnamal, CI 45410 (Red 27 Lake), CI 42090 (Blue 1 Lake).